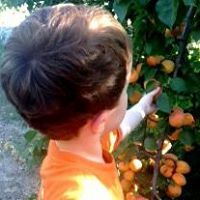 Fresno area of California Fresno area of California U-Pick farms: Find a pick your own farm near you in Fresno area of California for fruit, vegetables, pumpkins, organic foods,local produce and more! Looking for a local, pick-your-own farm in Fresno area of California? Scroll down this page and you will see the U-Pick farms in Fresno area of California, sorted by county. Those that offer organic or sustainably grown produce are identified by the words "organic" and/or "sustainable" in Green, next to their name (see "What does Organic mean?"). The U-pick crops they offer follow the name of the farm. To search the page for a specific crop, use Ctrl-F (or on an ipad or Mac, use their "search on this page" function) If they have a website, the name will be in blue and underlined; click on it and it will open their website. If you find anything outdated or inaccurate, see the customer and farmer menus (as appropriate) at the top menu bar to submit updates and corrections and help me keep each current! 13505 S. Chateau Fresno, Caruthers, CA 93609. Phone: 559-896-4225. Fax: 559-896-1528. Email us at: [email protected]. Directions: 20 minute from Fresno. 10 minute from high way 41 Main street MT. View west Click here for a map to our farm. Crops are usually available in February, March, April, May, June, July, August, September, October, November. Open: Monday to Sunday 8 am to 7 pm We are certified organic for all crops! Payment: Cash, only. Organic vine- ripe Tomatoes Greenhouses. 897 West Lincoln Avenue, Fresno, CA 93706. Phone: (559) 260-0224. Email: [email protected]. Open: Monday to Friday, from 8 am to 3 pm; Saturday, from 8 am to 5 pm and Sunday, from 7 am to 3 pm, June 1 to July 8. Directions: Turn off of Highway 41 onto American Avenue heading West. Turn left onto Walnut Avenue and head South towards Lincoln Avenue. Turn left at Lincoln Avenue and arrive at 897 West Lincoln Avenue, located on the right. Click here for a map and directions. We use natural practices, but are not yet certified Organic. Payment: Cash, only. About ten minutes south of Fresno, rests a little farming community called, Easton. 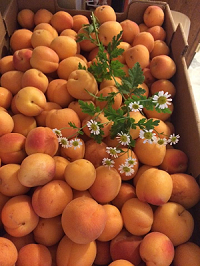 Come on out for the 100% U-Pick experience and enjoy 100% local, organically grown apricots. Pricing is $10 for a 1/2 grocery bag and $20 for a full grocery bag. Cash only please. Although we have regular hours of operation, we will take appointments. 17971 Auberry Road, Clovis, CA 93612. Phone: 559-299-8141. Alternate Phone: 559-779-4443. Fax: 559-297-4665. Email: [email protected]. Open: If Mother Nature allows we should be opening up around Mothers Day or a tad before, depending on the weather, Always call first for opening info before coming up to the ranch. To our U-pick customers: Always call first to see if the u-pick orchard is open, usually the weekend after we open the fruit stand. See their website for hours and availability. We are looking forward to having lots of our main variety Brooks and Tulare cherries this season. We will also be having a excellent boysenberry crop, both at the fruit stand and u-pick, along with blueberries and lots of apricots. What's new? We will be selling our very own frozen pomegranate juice and dried chili peppers to spice up your cuisine!.Directions: From the intersection of Copper/Auberry road. Go north on Auberry road about seven miles and we are on the left hand side. We are two miles above the rifle range and two miles below the The Roadhouse bar and the Valero gas station. Click here for a map and directions. Pomegranates: October 12 to October 27; Cherries from the middle of May to the middle of June or so; Fresh Vegetables also. Payment: Cash, only. Click here for our Facebook page. We also have apricots, blackberries and pomegranates. We also have a road side fruit stand on our ranch where the public has the opportunity to buy fresh cherries and other delicious fruit throughout the season. Hope to see you soon!!!. 100 W. Shaw Avenue N/W corner of Blackstone & Shaw Avenues, Fresno, CA 93711. Phone: 559 658-2006. Fax: 559 658-2015. Email: [email protected]. Directions: West of Highway 41 at the Shaw Avenue exit on the North West corner of Blackstone & Shaw Avenues Click here for a map and directions. Crops are usually available in October. Open: 9 AM to 9 PM 7 days a week Pumpkin Patch and Straw Bale maze is open from October 1st through October 31st. Payment: Cash, Check, Visa/MasterCard. The Great Bumpkin Blood Drive 8 AM to 6 PM Friday October 12 and Saturday October 13th. High Oaks Lane, Squaw Valley, CA 93675. Phone: 559-977-7539. Open: Call before you go - I haven't had an update from this farm in years and there is nothing current about them on the internet; their website is gone, (Does anyone have current information, are they still offering pick your own? If so, please write me!). Directions: please call ahead of time for directions. Picking updates: Click here for picking updates. Crops are usually available in All year. Payment: Cash, Check. We grow everything with NO pesticide, NO herbicide, NO fertilizer, NO antibiotics, NO hormones. Our animals are raised kindly with nearly unlimited pasture. Free home delivery also available near Fresno/Clovis and near San Jose! Low delivery rates for other areas. We also work with other local farms, so if we don't have it we can help you find it (or grow it special for you!). A visitor writes on June 07, 2016: "Like the farm very much. Friendly owners strap picking box onto your back and direct you to more ripened fruit if that's what you're looking for. All organic. Some of the best apricots in Cali. Very easy pick. Low branches, no ladder climbing necessary. Picked 30 lb box in 15 minutes and down the road home to make my jam and pies." 475 Sierra Grande, Bishop, CA 93514. Phone: (760) 937_0413. Email: [email protected]. Open: 7 days a week for cherry season 8 am to 5 pm. Directions: When traveling from Bishop Go past the Bishop Country Club on highway 395 south And about 3 miles turn right on Gerkin Road When you reach Wilkerson Turn on Sierra Grande Go to the top of the road Turn left at the Iron Gate Come on up to the house. Click here for a map and directions. cherry season starts Memorial Day. Payment: Cash, only. Peaches June 30; Apples July 30; All veggies July 15/ raspberries June 30. We Are USDA Certified Organic for all crops! Payment: Cash, only. USDA-NOP national Organic Standards California Registration # 99-0008. 8805 Highway 41, Fresno, CA 93720-1002. Phone: 559-439-0606. Phone: 559-661-2172. Email: [email protected]. Open: March - December. Directions: Hwy 41 at the San Joaquin River (take Rio Mesa Exit). 5 miles North of Fresno - 15 miles East of Madera on the way to Yosemite National Park. click here for a map and detailed directions. Tour the only farm in the San Joaquin Valley that actually grows pizza. Our Award Winning farm is located at the beautiful and historic Cobb Ranch on Highway 41, across from Children's Hospital. Bring your students and enjoy a guided tour of the Pizza Farm, a visit with our farm animals, and a wagon ride around the ranch. In addition, each class plants their own "mini pizza farm," which students take back to school as an on-going lesson in farming. Culminate your farm experience with a pizza lunch in the shade of the orchard. Guaranteed to the most fun, educational, and tasty farm field trip in the valley. And your cost is just a few bucks. Open March - September; All Tours Guided; Tours Last Approximately 2 Hours; Pre-K through Senior Citizens; Wheel Chair / Stroller Accessible; Ample Bus Parking; Shaded Picnic Area; Sorry, no concessions available. 12230 Livingston Cressey Road, Livingston, CA 95334. Phone: 209-761-0081. Email: [email protected]. Open: This years event will be held Memorial Day weekend, May 27th-29th. Please watch for updates or call Cindy or email for more info or to make an appointment. Cherries May 30 through ~ June 14; Blueberries May 30 through June 28; Depending on weather and crop maturity these dates May change to a week earlier or later; Persimmons, Pomegranates and Walnuts are available in October, November and pre-picked in December; Pecans are ready for harvest in mid November. Directions: The farm is located two miles from CA Highway 99 and two miles from Santa Fe Avenue, along the Merced River and across the river from McConnell State Park. The neighbor's mailbox nearest the farm gate has an address of 11801 Livingston Cressey Road which works better for Mapquest or Google Maps. Click here for a map and directions. Crops are usually available in May, June, July, October, November. We are certified organic for all crops! Payment: Cash, Check. Fall pomegranates and organic oat hay & almond firewood year-round. They host you-pick days during the annual festival: TYou are welcome to visit our Farm's Annual Pick and Gather Festival. This years event will be held Memorial Day weekend, May 27th-29th. We invite the whole family out to the Merced River for Memorial Day fun! Look forward to seeing you out there! 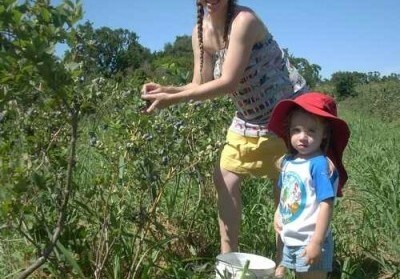 This annual farm festival gives the whole family an opportunity to pick and taste the river valleys' best organic fruit. Outdoor activities will include Kids Science, Hay-Bale Rides, Camping, Swimming, Nature walks, Crafts, Fishing lessons and more. 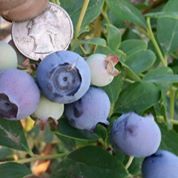 On Saturday: in addition to the u-pick blueberries and cherries , there is live music & art, kid's activities, local and/or organic food, workshops, wagon rides, wine and food tastings, farm animals, nature displays and crafts. Future plans are to offer flowers, stone fruits, pumpkins and Christmas trees on a you-pick basis. Click here for our Facebook page. 5942 Arena Way, Livingston, CA 95334. Phone: 209-564-1940. Email: [email protected]. Open: See our Facebook page for current hours. Directions: Click here for a map and directions. Payment: Cash, only. Early Wonderful Pomegranates. 3689 Bert Crane Rd, Atwater, CA 95301. Phone: 209-617-0004. Alternate Phone: 209-617-0141. Email: [email protected]. Open: Call before you; May 15 to June 30. Directions: Click here for a map and directions. 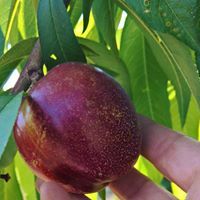 PYO and pre picked please call first; May 15 to June 30. We minimize use of pesticides and other chemicals. Payment: Cash, only. A visitor writes on May 18, 2018: "They're open and operating. They don't advertise a lot, and I only knew about them because of my MoPS group where someone is actually friends with the owners. But I just called and they're still doing it! Just wanted to give you the heads up." 38918 Road 64, Dinuba, CA 93618. Phone: (559) 824-0811. Alternate Phone: (559) 824-3780. Email: [email protected]. Open: Wednesday to Saturday, from 8 am to 6 pm. Directions: We are located 40 minutes south of Fresno, CA. From the South, take the Avenue 384 exit and turn right at the stop sign. From the North, take the 384 exit and turn left and then turn right at the stop sign. Cross the Railroad tracks and drive to Road 64 (approximately 6 miles). Turn left and drive about a 1/4 mile to the entrance. Follow the signs. Click here for a map and directions. Our PYO is open from June 14th to September 16th this year;. Payment: Cash, Check, Visa/MasterCard, Discover, AmEx. Please park in designated areas only. There is no smoking anywhere on the property. See photos on our website We are certified organic for all crops! The Naylor farm is located 40 miles south of Fresno, California in rural Tulare County. It consists of 40 acres of farmland planted with several varieties of apricots, peaches, plums and nectarines. Naylor Organics has been using organic practices since 1984.